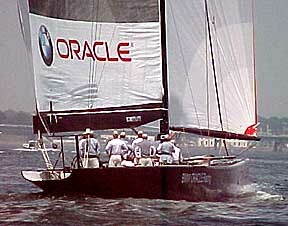 Oracle wind stalk installed. 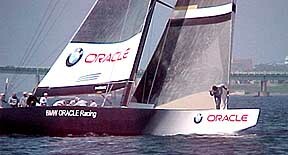 Oracle keel gets finishing washdown. 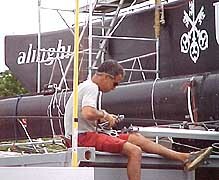 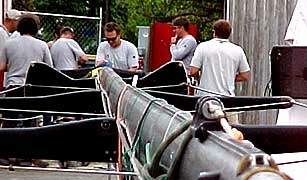 Alinghi people getting mast ready to go up. 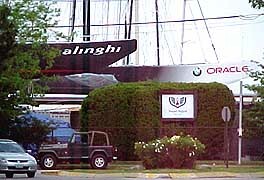 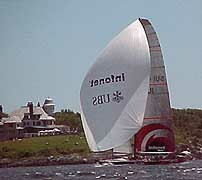 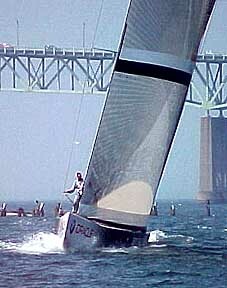 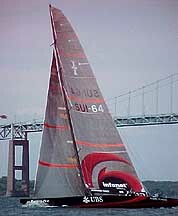 Alighi practice run on East Passage rounding R12a.